Mr. Grooms was born in Nebraska into families that came from ranching and farming backgrounds – The culture valued a handshake much more than a written contract. After 12 years he moved to Wyoming. While he is disappointed he cannot call himself a native Wyomingite, he is proud that his son and daughter are natives of Wyoming. Mr. Grooms graduated from Torrington High School, Eastern Wyoming College in Torrington and then received his bachelor’s degree from the University of Wyoming in Laramie in May of 1975. Mr. Grooms also received his CPA certificate in 1975. After working for a regional CPA firm, a national and local firm in Wyoming, he started his own firm in Casper in 1982. 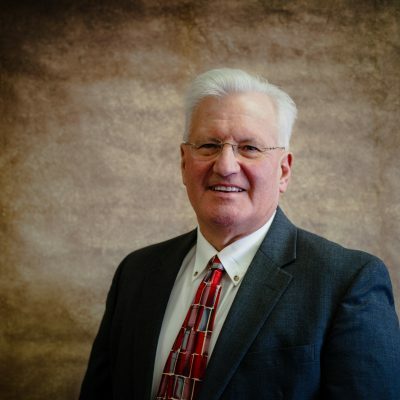 In January of 1999 he merged his practice with Charles R. Harkins, CPA to form Grooms & Harkins, P.C. He is a member of the American Institute of Certified Public Accountants and the Wyoming Society of Certified Public Accountants. Mr. Grooms’ clients span multiple industries requiring more than the traditional accounting services of tax and auditing. Today he is actively involved in financial and estate planning, business management and consulting services, valuation determination and transactional activities. Above all the professional services discussed, he values the personal relationships created over the years as his greatest achievement in the CPA profession. Mrs. Grooms has retired from a wonderful 30 years teaching career with Natrona County School District. Mr. & Mrs. Grooms greatly enjoy opportunities to travel the USA and the world, challenging their belief in lifelong learning. Mr. Grooms has been very active in Casper community service groups over the years and for the entire time living in Casper he and his family have been and are active and involved members of First Christian Church (Disciples of Christ). Mr. Grooms values the outdoor opportunities that living in Casper provides. Living and working in a community that allows for him to be hunting or fishing throughout the year within 15 minutes of the home or office is truly a blessing and fuels his passion of hunting upland birds with his wonderful dogs.